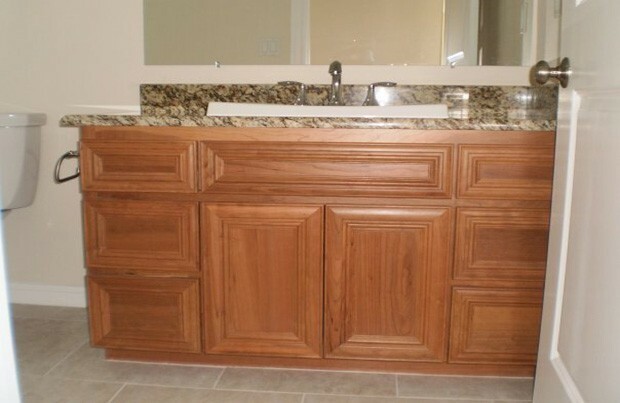 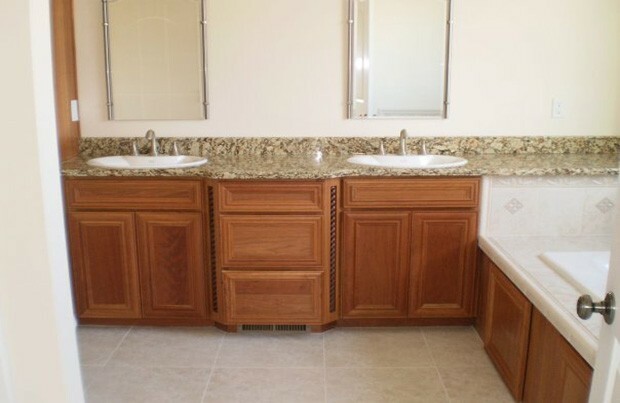 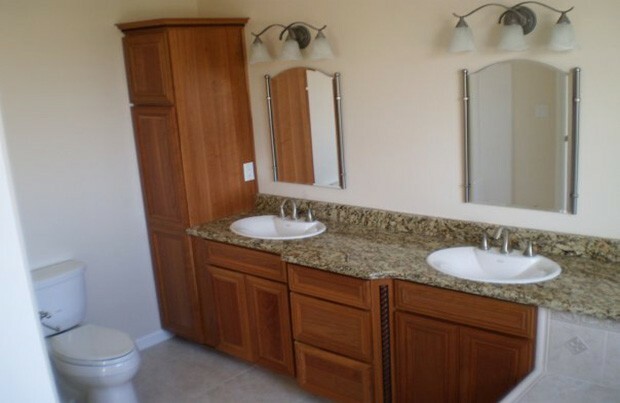 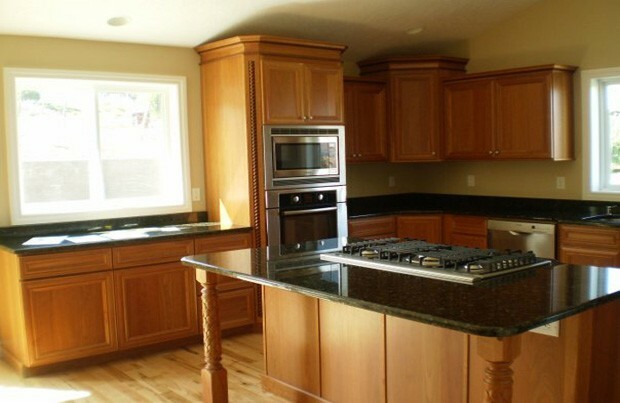 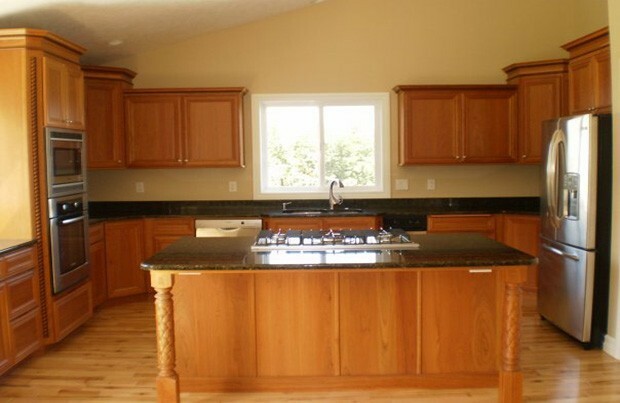 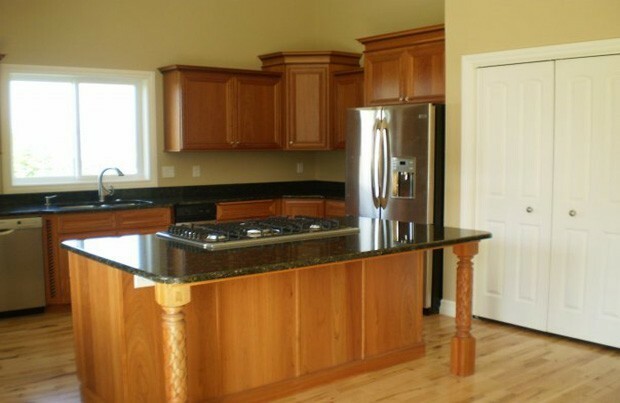 Dewils cabinets in Cherry with granite countertops. 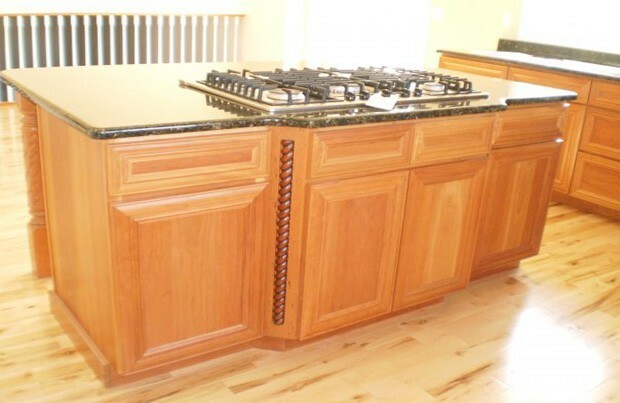 We did custom inlays in the kitchen to bring in some pop. 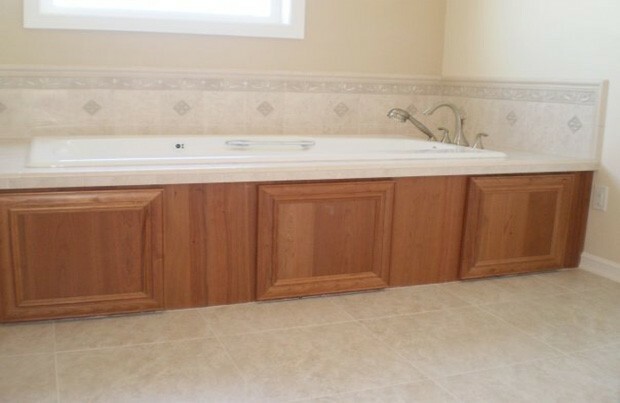 Matching access panels on the tub for some added style.